Chicago Mets Fan is about chronicling my adventures as a Mets fan in Chicago having moved here from New York City in June 2007. 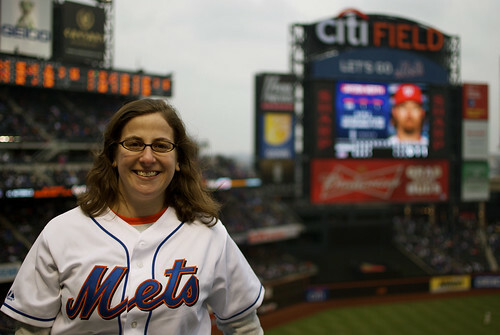 I’m a huge sports fan, so every now and then I will expand on topics outside of my Mets adventures that often include my partner in crime, my husband Nik. I was born and raised in Connecticut and have been a Mets fan for as long as I can remember. I can’t recall my first Mets game exactly, but I do know one of the earliest games I had been to was when the Mets retired Tom Seaver’s No. 41 in 1988. Professionally, I graduated from Marist College with a BA in Communication and proceeded to have many great jobs in various media outlets while residing in Queens, NY and now in Chicago. Enjoy what you see and feel free to hit me up with e-mails or comments.